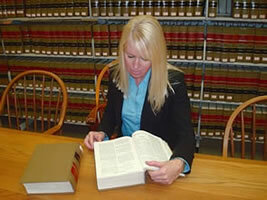 Has there been a recent change in the alimony law in Massachusetts? Am I entitled to Social Security Disability? How does Social Security determine if I am disabled and eligible for benefits? What am I entitled to under Workers' Compensation in Massachusetts? How soon after I begin a new job am I eligible for Workers' Compensation? What is the difference between temporary totally disability and partial disability? If I sustained some disfigurement, scarring or loss of function as a result of my injury, am I eligible for any additional compensation?